I've been using PREVAGE® Day Ultra Protection Anti-Aging Moisturizer SPF 30 by Elizabeth Arden for the past several months. 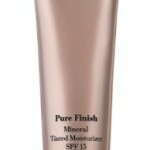 Recently a friend asked what I've been using for my daytime moisturizer and since I've been really happy about how my skin looks, I was happy to share my secret. 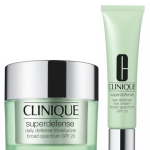 PREVAGE® Day combines the powerful antioxidant Idebenone with SPF 30 broad-spectrum sun protection in a moisturizing base. 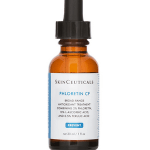 This combination provides one of the most effective treatments to help prevent the visible signs of aging, improve the appearance of sun damaged skin and protect against future damage. The Idebenone used in PREVAGE® Day has undergone stringent testing to measure the protective power of antioxidants. The result was that out of six antioxidants tested, Idebenone received the highest rating (EPF®). Apply PREVAGE® Day after cleansing* (and after application of a serum or other treatment product); I usually wait 5-10 minutes before applying makeup. Because of all the product testing I do, it's hard to stay loyal to one product, but I've really been pleased with PREVAGE® Day. The lightweight formula doesn't get greasy and I can definitely see that my skin is brighter and more radiant since I've been using PREVAGE® Day. 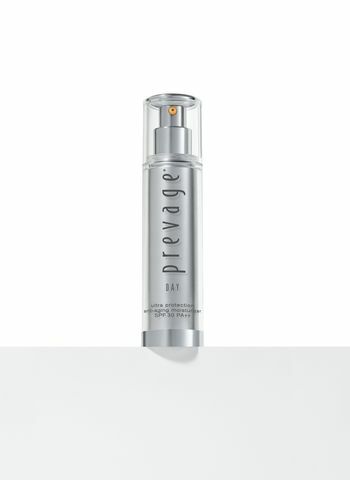 PREVAGE® Day Ultra Protection Anti-Aging Moisturizer SPF 30 retails at $125.00 and is available at Elizabeth Arden counters, www.shopelizabetharden.com and www.skinstore.com. 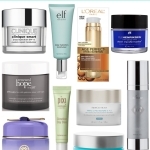 Best Facial Moisturizers for Spring & Summer! 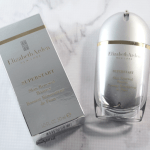 Jumpstart Your Skin with Elizabeth Arden’s SUPERSTART Skin Renewal Booster!